Most children who take medication for Attention Deficit Hyperactivity Disorder (ADHD) will continue to require it in adolescence, and more than 50% will need to take it as adults. Recent research indicates that this medication can have serious side effects, including dizziness, severe nausea, and suicidal ideation, as well potentially damaging the heart and liver. Light therapy, which can be administered via a light box involves exposing the person to 10,000 lux light for approximately 30 minutes per day, though exposure times can be increased or decreased as required because individual responsiveness varies. Light therapy is ideally implemented at the time of day when the person usually feels tired or sluggish, though it shouldn‚Äôt be done too late at night as this may cause insomnia. 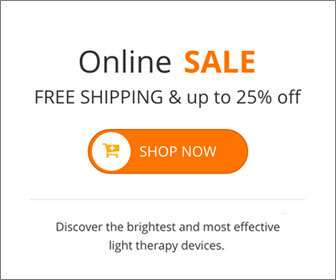 While light therapy shows some promise as an ADHD natural treatment in certain individuals, light therapy ADHD treatment should be considered a complementary therapy. Ideally, conventional therapy would be implemented year-round, and light therapy for ADHD treatment used as an adjunct ADHD natural treatment during the darker months of fall and winter. This entry was posted on Friday, September 3rd, 2010 at 9:08 am	and is filed under Light Therapy. You can follow any responses to this entry through the RSS 2.0 feed.